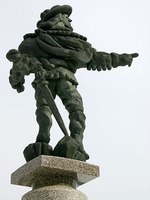 AILLEBOUST DE MANTHET, NICOLAS D’, soldier, fur-trader; baptized 12 April 1663 at Montreal, son of Charles-Joseph d’Ailleboust* Des Muceaux and Catherine Legardeur de Repentigny; d. 1709 at Hudson Bay. He rose by successive stages in his military career, and on 1 April 1702 reached the rank of captain. From 1684 on he had been a companion of Daniel Greysolon Dulhut in the pays d’en haut, and on 16 Oct. 1689 took part with him in a raid on a group of Senecas at Lac des Deux-Montagnes The same year, having barely landed to take up his second mandate as governor, Buade* de Frontenac sent him with all speed to Cataracoui (Fort Frontenac), in order to stop the fort from being abandoned and destroyed, as ordered by Brisay de Denonville. 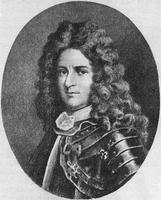 But it was already too late: Clément Du Vuault de Valrennes had blown up the fortifications. 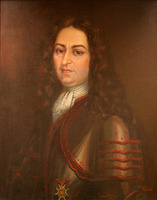 In January 1690, with Le Moyne* de Sainte-Hélène, he directed the raid planned by Frontenac against Schenectady. On 18 February, at nightfall, the party, made up of 210 men of whom 114 were Canadians, attacked the English post. When they withdrew some hours later, they left behind them some 60 dead, smoking ruins, and a helpless population that sought refuge at Albany. The next day they headed back to Montreal with 25 captives. In 1693, during the War of the League of Augsburg, Nicolas de Manthet, together with Robutel de La Noue and Augustin Le Gardeur de Courtemanche, led a party of 625 men who were sent on an expedition against the Mohawks in the region of Albany. The expedition left Montreal on 25 January and three weeks later reached the territory where war was to be waged. After setting fire to villages and capturing 300 persons, two-thirds of whom were women and children, the party, burdened with its prisoners, turned back and made for Montreal. On the way home it was twice attacked by Anglo-Mohawk bands who inflicted only light casualties, but who delayed its progress and thus exposed its members to starvation; this danger became a disaster when the thaw had ruined the provisions in the caches. The captives were set free. A few soldiers starved to death. More than a hundred had to remain on the spot to await help. The others managed with difficulty to get to Montreal, after ridding themselves of their muskets and blankets in order to travel more lightly. It was on a similar expedition, this time against Albany Fort on James Bay, that the Sieur de Manthet perished in July 1709. 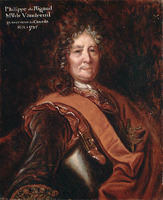 Rigaud de Vaudreuil had ordered him to seize this fort, but the undertaking resulted in a failure attributable, in the governor’s opinion, to the excessive recklessness of the soldiers and an inadequate knowledge of the area. 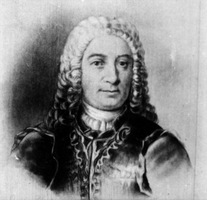 Like all soldiers of his stamp, Nicolas de Manthet served on several occasions as a diplomatic agent among the Indian allies; it was above all important, particularly during the first two intercolonial conflicts, to keep them within the sphere of French influence. In 1703 Vaudreuil said of him that no one at that time had so much ascendancy over the Indians and even over the French in the pays d’en haut. Official missions to the west apparently served as a cover for trafficking in pelts on a fairly large scale. 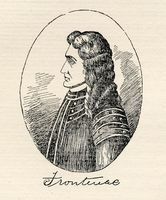 In 1706 Vaudreuil and Jacques Raudot were obliged to apologize to the minister on Nicolas de Manthet’s behalf, stating that on his journeys towards the posts on the Great Lakes he had to take the goods required to meet his own Needs. Manthet was a shareholder of the Compagnie de la Colonie and maintained business relations with Charles Aubert de La Chesnaye. Official correspondence and notarial acts show that he was involved in the fur trade from 1699 up to the year of his death, 1709, when he was sentenced to pay 3,039 livres to the Sieur Regnard Duplessis, the agent general of the Compagnie de la Colonie. On 9 June 1696 Nicolas d’Ailleboust de Manthet had married Françoise Denys de La Ronde, Guillaume Bouthier’s widow; by her he had six daughters whom we know of and perhaps a seventh about whom we have no information. AN, Col., B, 23, f.26 Coll. de manuscrits relatifs à la N.-F., I, 482 – 531 Charlevoix, Histoire(1744), III,184–88; IV, 57f. “Correspondance de Vaudreuil,” APQ Rapport, 1938–39, 1939–40, 1942–43 P.-G Roy, “Ce que Callières pensait de nos officiers,” BRH, XXVI (1920), 327; Inv. ord int., I, 21, 71 [François Vachon] de Belmont, Histoire du Canada, 30 Godbout, “Nos ancêtres,” APQ Rapport, 1951–53, 471f. Eccles, Frontenac, 224f.,252–54. Aegidius Fauteux, La famille d’Ailleboust (Montréal, 1917), 122–26 P.-G. Roy, “Philippe Clément Du Vuault De Valrennes,” BRH, XI (1905), 195. Jean Blain, “AILLEBOUST DE MANTHET, NICOLAS D’,” in Dictionary of Canadian Biography, vol. 2, University of Toronto/Université Laval, 2003–, accessed April 24, 2019, http://www.biographi.ca/en/bio/ailleboust_de_manthet_nicolas_d_2E.html.